Focusing on new research and access to forgotten pictures, The New Tide, Early Work 1940-1950 documents the importance of these years in shaping Gordon Parks' passionate vision. The book brings together photographs and publications made during the first and most formative decade of his 65-year career. During the 1940s Parks' photographic ambitions grew to express a profound understanding of his cultural and political experiences. 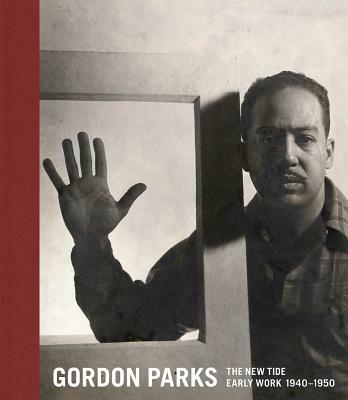 From the first photographs he published in Saint Paul, Minnesota, and his relationship to the Chicago Black Renaissance, to his mentorship with Roy Stryker and his breakthrough work for America's influential picture magazines--including Ebony and Life--this book traces Parks' rapid evolution from an accomplished, self-taught practitioner to a groundbreaking artistic and journalistic voice. Gordon Parks was born into poverty and segregation in Fort Scott, Kansas, in 1912. An itinerant laborer, he worked as a brothel pianist and railcar porter, among other jobs, before buying a camera at a pawnshop, training himself and becoming a photographer. During his storied tenures photographing for the Farm Security Administration (1941-45) and Life magazine (1948-72), Parks evolved into a modern-day Renaissance man, finding success as a film director, writer and composer. The first African American director to helm a major motion picture, he helped launch the blaxploitation genre with his film Shaft (1971). He wrote numerous memoirs, novels and books of poetry, and received many awards, including the National Medal of Arts, and more than 50 honorary degrees. Parks died in 2006.